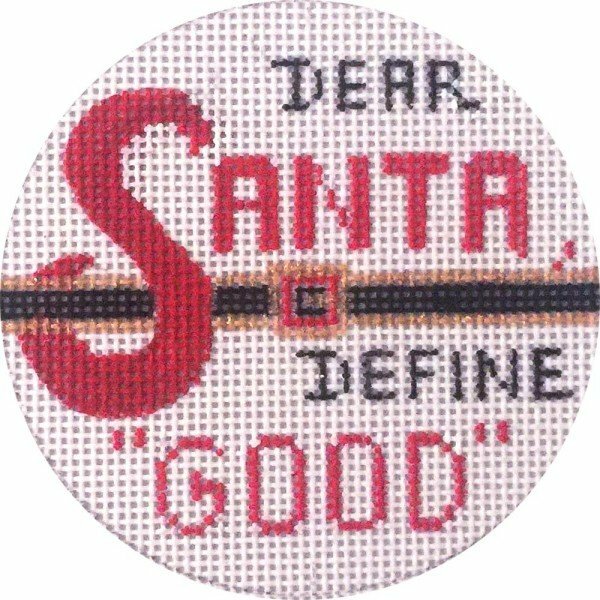 An easy needlepoint ornament project that challenges Santa to Define Good. 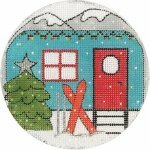 The design measures 4" in diameter and is handpainted onto 13 mesh canvas. Available canvas only or with your choice of DMC cotton floss or Planet Earth Silk. Please contact us with any questions. We are always glad to help.